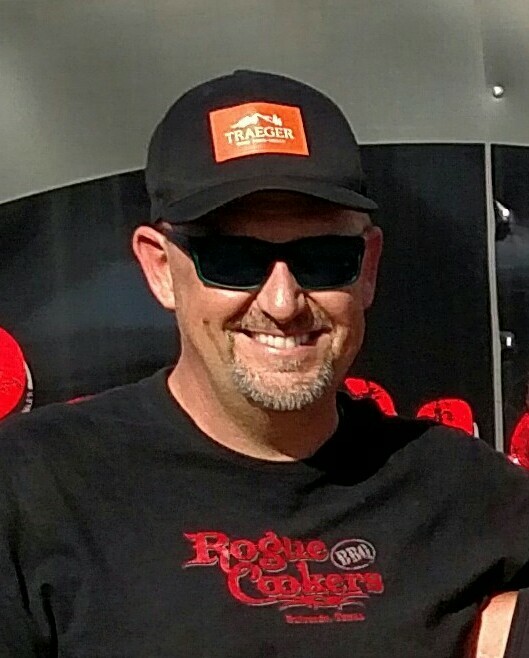 Together Doug Scheiding and his wife, Jennifer Talley, make up the Rogue Cookers Competition BBQ team and cook exclusively on Traeger Pellet Grills since 2013. Due to his technical background as an Aerospace Engineer and competitive nature to constantly improve, Doug is known for tweaking recipes, which is where the team name was derived, Head Country rubs and sauces have been a part of his arsenal since day one of his competitive smoking journey that started in 2009 when a neighbor introduced it to him. Rogue Cookers won the Houston Rodeo World Championship (HLSR) in 2015 cooking chicken glazed with Head Country Original BBQ Sauce, a 2nd and 4th Place in Brisket at the San Antonio Rodeo using HC original seasoning, and first place in Cook's Choice Category at the Jack Daniel's International Invitational using Head Country Marinade on Steaks. Doug is a Traeger BBQ Pro, Head Country Brand Ambassador, and the Texas Embedded Correspondent to The BBQ Central Show. 1. In a medium cast iron skillet, fully cook the Hickory Smoked Pork Sausage and chopped white onion. Break up the sausage into small pieces. Drain the excess grease. 2. While the sausage is cooking, roast poblanos using a small torch or open flame. Put them into a bag to sweat. 3. Start your smoker at 350°F. 5. Divide the block of Queso Blanco into large chunks and slice tomatoes. 6. Add the both cheeses, tomatoes, green chilis, poblanos, and canned soup and stir. 7. Add cooked sausage and onion mix and the 2 Tbsp of Head Country Championship Seasoning. 8. Smoke for 60 minutes on the grill at 350°F stirring every 15 minutes. If using the microwave, heat for 3-4 minutes at a time and stir until melted.